A government decision to block a 1% pay rise for all NHS nurses across England has caused uproar within the industry, with the topic set to dominate the union’s annual conference this week. Royal College of Nursing general secretary Peter Carter has even revealed to BBC News that there may be calls for industrial action, as fattening paychecks for senior NHS managers adds fuel to the discussions. Automatic pay increases are designed to reward professional development and are given to half of all NHS staff, being worth more than 3% on average. However, in March, the Department of Health said staff entitled to progression-in-the-job increases would not get the rise, with across the board bonuses due for 2014-15 being rejected. Health Secretary Jeremy Hunt said implementing the pay body’s recommendations would be “unaffordable and would risk the quality of patient care” as nursing jobs would have to be cut if everyone in the NHS got the 1% rise, however Scotland has already agreed to the scheme while talks are ongoing in both Wales and Northern Ireland. Mr Carter emphasises this as a real “kick in the teeth” for nurses, as RCN figures show that the amount spent on executive directors, who sit on the boards of NHS trusts, has grown by an average of 6.1% in the last two years compared to the 1.6% extra nurses, health visitors and midwives have received. “Failing to pay nursing staff a decent wage will continue to affect nurses’ living standards and morale and cause many more to consider leaving the NHS. 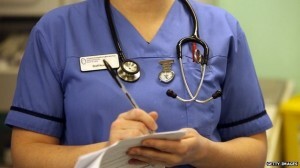 The government should do the decent and honourable thing and give nurses a decent wage,” he said.